It was a chilly Thursday night, and I was wondering what we were doing at a dog park. We didn’t even have a dog. I knew what the plan was: we were going to a park in Berkeley with my dad. We told him we were going to have a picnic, just for fun. But the truth was, we were coming for my dad’s surprise birthday picnic. My dad’s friend, Thor, was going to bring the cake to surprise my dad. I knew we were going to go to a park but I didn’t know that we were going to go to a dog park. Once we got settled at the park, my mom pretended to go to the bathroom. My mom was actually getting Thor to bring the cake. A few minutes later, my mom came back with Thor, holding a heart-shaped box which was where the banana cake was supposed to be. Thor gave me the box, and I gave it to Dad, thinking it was for him. He told me to open it, I wondered why, but I didn’t argue. As I opened the heart-shaped box, a wide smile was plastered across my face. It was a puppy. I was frozen in shock. He fit in my hand perfectly, he was perfect. He was also crying because he missed his mom. I took him and held him, still in shock. 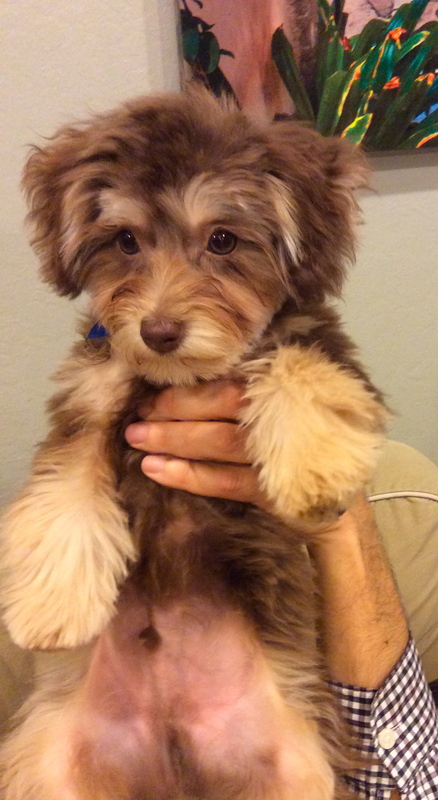 He was a Havanese, the type of dog I wanted. I’ve been wanting one for years. It was the best day in my life. Unfortunately, I couldn’t keep him quiet yet, because he was to young. I would have to wait six weeks. It may not seem that long, but it felt like years. After the puppy left, I sat there in shock, then I starting screaming in joy. I couldn’t stop. Then I realized all the lies my parents had made to keep this a secret from me. No wonder they had ordered a dog bed! They didn’t order it for my mom’s friend who “couldn’t use the internet”. No wonder my parents kept on making weird excuses for going to stores that they didn’t tell me the names. Then I remembered even more excuses that will bore you if I tell you all of them. I also realized that Thor was not Dad’s friend; he was my puppy’s breeder. My parents told me that they decided to get me a dog when I was in Costa Rica, away from my family for a month. They told me they missed me, and they wanted to make me happy. 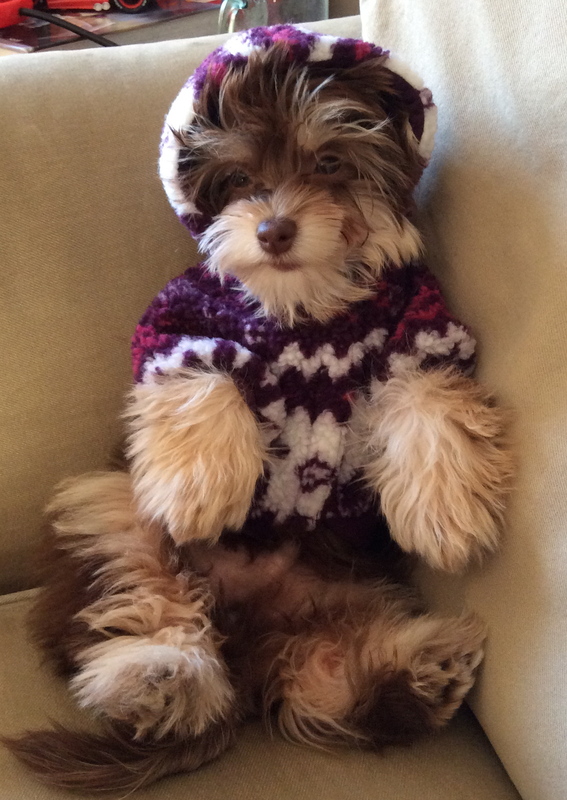 I was getting extremely spoiled by getting such a cute puppy, especially a Havanese. On the way back home, we were debating what we were going to name that cute little Havanese pup. We finally decided on Popcorn. Finally when I got to keep him, I was filled with joy. My dreams had come true. Now whenever I look at Popcorn, he reminds me how much my parents really love me. That’s how Popcorn Strell became my prized possession. Do you have any experiences with dogs/puppies you’d like to share? If so, you can write an article about it, and send it to The Dolphin Tale’s submissions editor at BayFarmDolphinTail@gmail.com to be considered for publication in the next issue!